Join the party and start to play at Heart Bingo. Well-known radio station Heart FM has launched its own bingo website to spend some fun time online. While listening to Heart on the airwaves, you can play exciting games and take advantage of the Heart Bingo promotional code offer of 30 free spins and up to £50 free bingo tickets. Click the button above to reveal the promo code and access the Heart Bingo promo code website. Fill in the registration form with your personal details. Enter the code in the field marked ‘Promotional Code'. Click ‘Join Now' to create your account. Opt in for the promotion. Make a wager of at least £10. Receive your free spins and bingo tickets. The bonus can only be applied to your first ever deposit on Heart Bingo. You must make an initial deposit of at least £10. You must make a wager of at least £10 on any game(s). You have 30 days to use the welcome bonus in its entirety before it expires. You ought to know that the 200 free bingo tickets have a maximum value of £50 (if you buy 25p tickets) and a minimum value of £2 (if you buy 1p tickets). These can be used on all bingo games except for Session Bingo and Bingo Winners Club. The 30 free spins can be played on the Paper Wins game. Once you have finished playing through the welcome bonus, you can still get plenty of other Heart Bingo promotions. We've described the main ones below, including a tasty Refer a Friend bonus, but there are others to consider too, like cashback, BOGOF and guaranteed cash prizes. The best place to keep up with the latest benefits is the ‘Promos' section of the Heart Bingo website. In the past, Heart Bingo has often rewarded players who stay loyal to their website and share the bingo love. By referring your friends, you can sometimes earn extra benefits like bonus funds each time one of them signs up and meets the required conditions. Receive your invitation by email or social media. Sign up to Heart Bingo with the same currency as you. Meet minimum amounts for depositing and wagering. As with the welcome bonus, contribution weightings vary by game (see table above). This bonus is particularly attractive for the referrer because it is credited as cash once your friend has met the above conditions. So you can do what you wish with it: play and try to win more or withdraw if you feel like making sure of keeping the cash. 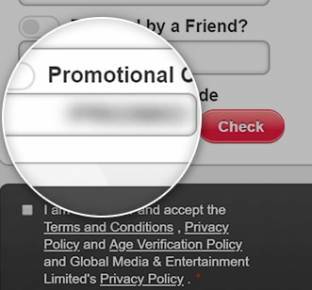 Your friend can also benefit from the welcome bonus described above when they sign up. Check the Heart Bingo promotions section when logged in to see if this offer is currently running. Tip: You can follow your friend's progress through the wagering requirements in the ‘referrals' section of your account. If you are having any trouble accessing the Heart Bingo promo code welcome offer or one of the other promotions, there are numerous ways you can get in touch with the operator. There is a great range of support in the FAQs which you can find online. If one these can't answer your question, you can also speak to a member of the team via live chat, or you can simply email your question through to Heart Bingo.